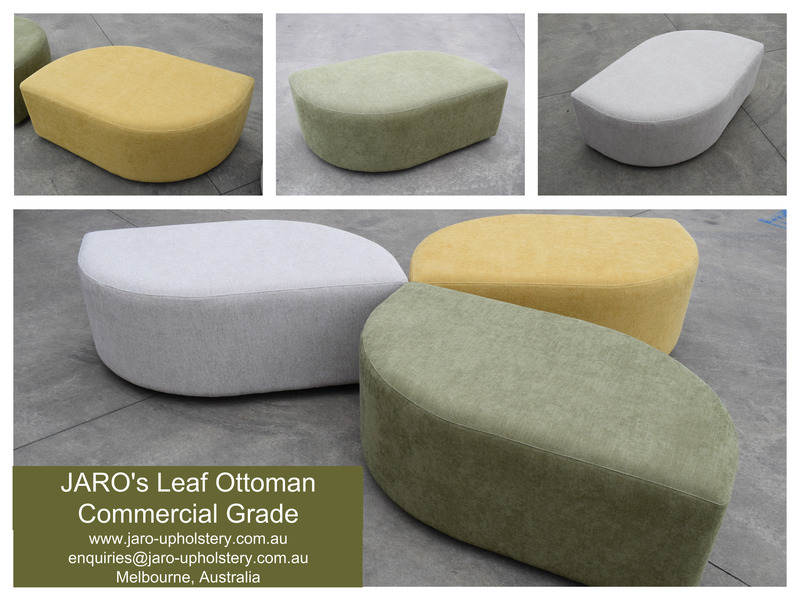 JARO's new Leaf Ottoman comes in many colours and textures to match your venue. Other shapes are also available including a petal. You can design a flower, brick wall, snake and so much more. Solid framework with quality foams and coverings make these ottomans suitable for busy traffic areas including hospitals, kindergartens, schools, universities and shopping centres etc. For further information email enquiries@jaro-upholstery.com.au.